You have landed on the best page for the latest Applebee’s menu prices. Applebee’s Neighborhood Grill & Bar is a casual dining restaurant chain serving classic dishes such as burgers, ribs, sandwiches, chicken, fish, salads and pasta. Kids are also welcome at Applebee’s with their own special menu. Kid-friendly menu items like corn dog’s, mini-hamburgers and the ever popular macaroni and cheese are featured. 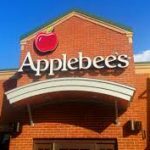 Aside from a large number of tasty and predictably prepared menu selections, Applebee’s satisfies diners with relatively affordable pricing. If that weren’t enough, frequent promotions such as the 2 for $20 deal ensure that it will be a popular stop on date night or gathering place for friends. Below are the latest Applebee’s menu prices. Great food is not the only thing on the menu. Each Applebee’s location has a full-service bar offering handcrafted drinks such as margaritas, sangria, and specialty cocktails. Ice cold beer and wine is also available. For more information on the awesome selection of drinks check out our Applebees drink menu. The answer is everything…All the time! Honestly, though the Applebee’s menu changes regularly. In fact, there’s a rumor that there are twenty-seven different variations of the Applebee’s menu! From new entrees, new appetizers, new snacks, and new drinks. The latest change was just instituted only a month ago and features a tater-tot mashed potato combination as a side item which is pretty spectacular. Check out this take on the latest menu updates. Our visitors want information in order to make proper dining selections. Thankfully, Applebee’s is committed to offering guests a complete and accurate nutritional guide of their menu items. To achieve that, Applebee’s offers an allergen guide, on their website, that lists 8 common allergens plus gluten and MSG that may be present in their dishes. Be sure to check out these guides before your next visit to Applebee’s. You can view the guide via the link at the bottom of this page. For those guests looking for food choices with reduced calories, Applebee’s has the answer. Ask for the Lighter Fare menu and you can choose from select dishes that offer smaller portions and fewer calories. Want to be the first to learn about the latest at Applebee’s? Go online and sign-up for the Applebee’s e-club and start receiving special offers and pricing promotions and the latest news. Membership is free but the benefits are worth it. Take-out ordering just got better thanks to Applebee’s Carside to Go! It’s simple, once you’ve selected your favorite location and pick-up time, using our menu above, just call in your order or place it online. Head over to your Applebee’s location they’ll bring your order to your car as soon as it’s ready! If you are a regular guest at Applebee’s, why not work there and become an important member of the neighborhood. If you are great with people and like working in a fast-paced environment, head over to the Career page on the Applebee’s website and explore the current openings and fill out an online application. Applebee’s believes in being a good corporate neighbor. That includes making a positive impact in all they do. From minimizing the environmental impact each location has, implementing recycling & energy consumption programs, to supporting and engaging in community-driven programs. For more information about Applebees, visit their official website. In November 1980, Bill and TJ Palmer opened their first restaurant called T.J. Applebee’s Rx for Edibles & Elixirs in Decatur, Georgia. A couple of years later, they opened a second location. Applebee’s Neighborhood Grill & Bar is a wholly owned subsidiary of DineEquity. DineEquity is a publicly traded company headquartered in Glendale, California. DineEquity is also the parent company of IHOP. How many Applebee’s Restaurants are there? There are over 2000 Applebee’s locations in North America, South America, Europe, Asia, & Africa. Where can you buy Applebee’s Gift Cards? Applebee’s gift cards are a great way to say you know deliciousness. You can buy a traditional gift card at your favorite location or you can order a gift card online. Online orders will be sent via postal service to the recipient. Need a last minute gift? Order a digital gift card and it will be delivered to the recipient’s email inbox instantly. What time does Applebee’s open? Applebee’s hours are 11:00 am -12:00 am. Be sure to check your favorite location for their exact operating hours. Applebee’s Happy Hour is from 3:00pm-6:00 pm and after 9:00 pm. Nice and clean site. Thanks for the info…I wish all sites were like this. The Blondie desert is gone nooooooo!! Bring that back and get rid of one of the chocolate ones please !!!!! Bring back to the BLONDIE dessert !!! I would like the ingredients listed, especially the salads, and what comes already on the sandwiches. Where did the riblits go? they were my fav!! Are they still cooking the steaks over a wood fire? Last time I ordered a Bourban Street steak they had started using the wood fired grill and it was terrible. We quit dining there because of that. please bring back the broccoli,cheese soup,and the potato soup you use to have,they were both really great!the potato soup was way too short lived,as it was my favorite at its time!! I thought I couldn’t go wrong with the appetizer plate of boneless wings, cheese sticks and tortillas. I was wrong! The platter was served with tiny cups of marinara, ranch and then a large container of spinach dip. The spinach dip was awful! The boneless chicken was dry and like hard little rocks. I understand now why this Applebees is never full. How about some regular American food at reasonable prices, rather than fancy sounding dishes at exorbitant prices? Went to Applebee’s last evening, which was senior nite so 30 % disc. nite, I ordered Chicken Fajita Rollup dinner, but I chose to get chips and salsa instead of French fries, which are not on my WW diet selection. I was given the 30% disc, but with the up charge on the chips and salsa, of 3.99 thought that was a little much obviously the French fries were worth nothing. I think you should have other options available beside fries, they are not good for the waistline, especially for seniors! How about a salad or soup option, for a couple bucks, makes more sense, also I noticed you have various prices listed on the menus shown on your GF websites, like 8.99, 9.79 and I was charged 11.59, what’s the deal on that , different menus, why aren’t they the same price? Thanks and didn’t know about the variance in the prices, makes me wonder, how fair this restaurant is to their customers? Also don’t care for all your spicy options, nor does my stomach. What happened to orange chicken ??????????? I think some of the above comments might be dependent on the location of the restaurant, as chefs do vary in their preparation techniques. Also, some locations will have lower overhead because of better availability of various menu basics. At our location, we have always been more than pleased with what we’ve been served, and it’s been reasonably priced! We are seniors, and we do try to watch our waistlines as well, so some of the greener sides and salads are always good choices for us. We LOVE our Applebee’s here in Biloxi! The worst $15.00 steak dinner . I was so disappointed! Never again! Used to go to Applebee’s & liked it. Now prices are out of reach, menu is crazy & Food not fit to eat! Go across the Street & eat at Cheddars, cheaper & much better!! WHEN LENT IS HERE-YOU NEED TO MAKE SURE THERE IS ENOUGH “FISH” ON HAND. THE APPLEBEES HERE IN JACKSONVILLE,IL,WAS OUT. AND IT WAS ONLY SAT,!!! A LSO I WANTED A SHOOTER FOR DESSERT/WITHCARAMEL SYRUP, DONT HAVE THEM ANYMORE. WHY ??????? I CANT EAT CHOCOLATE AND THE SHOOTERS WERE GREAT !! What happened to the fried green beans,please bring them back,we loved them and when is senior discounts day?